Abby the Librarian: Twelve Days of Giving: Did You Know? Stories are all well and good, but sometimes we just want to know things. You can't go wrong with the Guinness Book of World Records, but there are a lot of great nonfiction books that have wide appeal with kids. Here are some of my favorites for gift giving. How Big Is It? 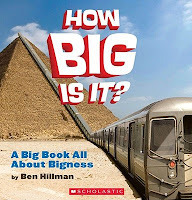 by Ben Hillerman is a book all about bigness. Stunning photographs of really big things are juxtaposed with ordinary things so we can get an idea of how big they really are. My favorite is a polar bear standing at the height of a professional basketball hoop. Also consider How Fast Is It? and How Strong Is It? by the same author. Kids will be poring over the photos in this book for days and days! I brought 100 Most Dangerous Things on the Planet by Anna Claybourne to an elementary school class and they would not put it down! They literally walked me to the door so they could keep reading until the last second. This book provides facts about 100 dangerous things (think volcanoes, alligator attacks, solar flares, etc. ), gives a survival rating, and tells you what to do if it happens to you. A great choice for upper elementary and middle school students. 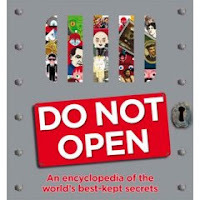 For kids who like all things mysterious, grab Do Not Open by John Farndon. This book is a collection of all things hidden and secret from Air Force One to the Kremlin to Area 51. Read my full review here. 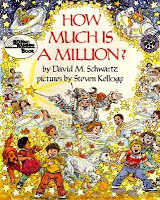 An oldie but a goodie is How Much is a Million? by David M. Schwartz. Using estimates, Schwartz attempts to quantify really big numbers like a million and a billion. Did you know that a goldfish bowl large enough to hold a million goldfish would be big enough to hold a blue whale? Schwartz explains how he came to his estimates in the bag of the book. This is one of my favorites and is a great choice to read together with younger elementary school kids. 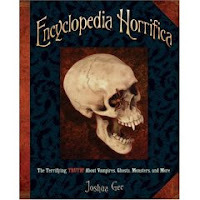 Some kids are fascinated by all things supernatural and Encyclopedia Horrifica was created just for them. In magazine-like pages, this book examines the truth (and legends) behind vampires, werewolves, mummies, mermaids, and more! Read my full review here.